An urban and contemporary restaurant with a modern menu, located in the heart of downtown Winston-Salem, North Carolina. 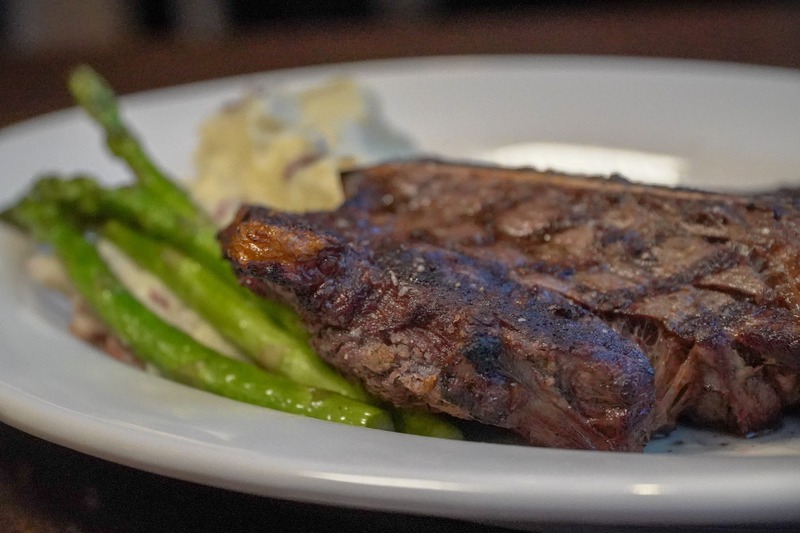 Here, you’ll find bold and innovative cooking using the best regionally sourced beef, poultry, and seasonal produce. Jeffrey Adams is owned by Jeff Bassett and Adam Andrews, who are both passionate about fine dining and hospitality. Sliced pan-seared duck breast, mashed sweet potatoes, asparagus, and bing cherry sauce. Arugula, fried goat cheese, pickled red onion, candied cashews, mandarin oranges, and dried cranberries. 4oz beef tenderloin, butter-poached lobster, béarnaise sauce, sea scallops, mashed potatoes, and asparagus. Every day, from 4 p.m. to 6 p.m., we'll be hosting a happy hour at the bar. Half price on any appetizer and special slider pricing, at the upstairs and downstairs bars only. Let us know if you have any questions or would like to reserve a space for an event. Like our page to see the latest from our kitchen and any new specials!